The stark grief of a brother mourning a brother opens this novel with a stunning, unforgettable experience. 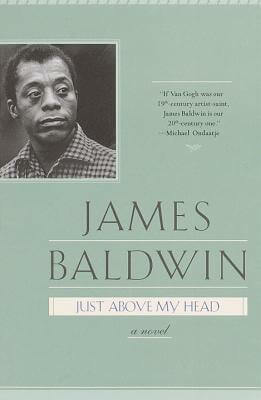 Here, in a monumental saga of love and rage, Baldwin goes back to Harlem, to the church of his groundbreaking novel Go Tell It on the Mountain, to the homosexual passion of Giovanni’s Room, and to the political fire that enflames his nonfiction work. Here, too, the story of gospel singer Arthur Hall and his family becomes both a journey into another country of the soul and senses—and a living contemporary history of black struggle in this land. Tell us what do you think about Just Above My Head.